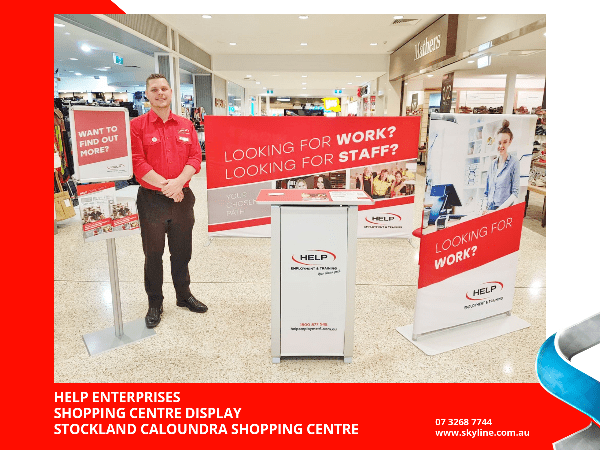 How great do the bright red graphics look in this display developed by Skyline Displays for Help Enterprises at the Stockland Caloundra Shopping Centre? Doing a Shopping Centre Activation and want to stand out like these guys? Visit www.skyline.com.au or call 07 3268 7744 and speak to our friendly sales team.